Due to temporary manufacturing limitations, many of our styles are on back order. 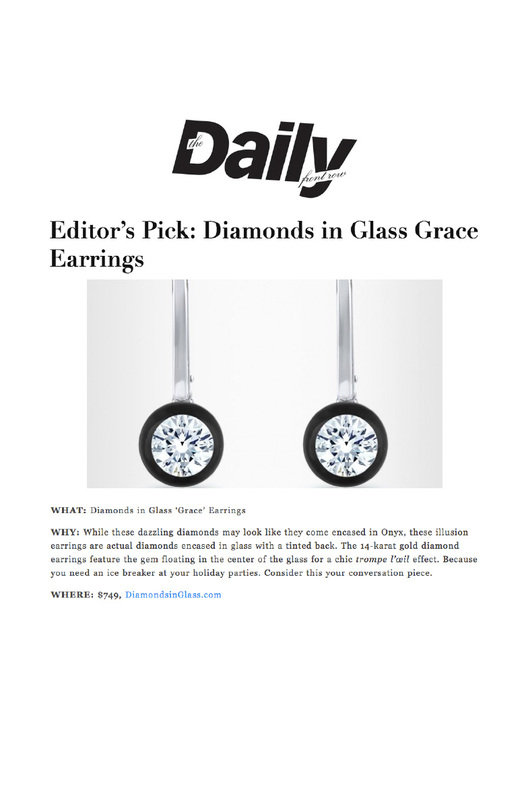 WHY: While these dazzling diamonds may look like they come encased in Onyx, these illusion earrings are actual diamonds encased in glass with a tinted back. The 14-karat gold diamond earrings feature the gem floating in the center of the glass for a chic trompe l’œil effect. Because you need an ice breaker at your holiday parties. Consider this your conversation piece. Read it on Fashion Week Daily.